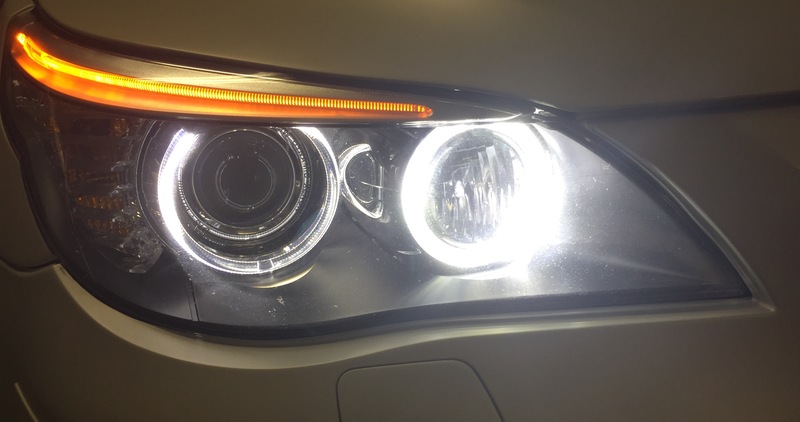 BMW M5 Forum and M6 Forums > BMW M5, M5 Touring, M6 and Z8 Forums > E60 M5 and E61 M5 Touring Discussion > Best plug and play angel eyes upgrade? Lmao so I pushed the pins closer together on the LUX and now it fits perfectly. I feel so dumb for trying to find another connecting point. I was going off of some videos I saw on youtube but I'm assuming now that those are not LCI guides. Now I'm just trying to figure out how to get the power supply inside of the housing. Thanks for your help Drew! They're a lot brighter than I thought they'd be. Fiftytwoeighty and skyfire54 like this. Look great! Brings the E60 years ahead in age. 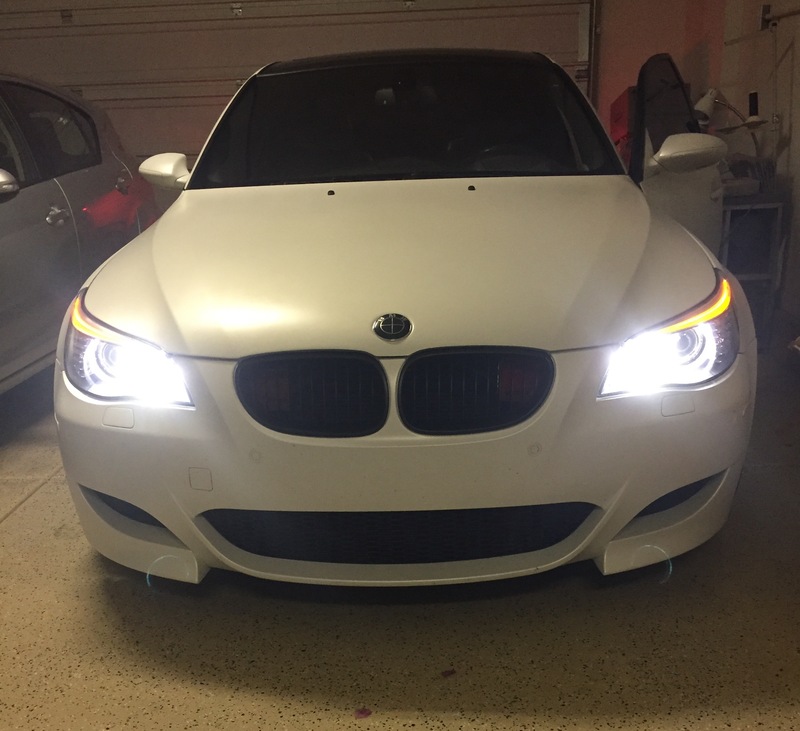 E60 2007 M5. Michi PSS's. Eibach. FAM. BE and ARP's. RPi. Hartge BB's. Eventuri. E46 2004.5 M3. RIP 4th May 2015 my joyful toy. Looks awesome!!! Any chance to get these results with a pre-lci by any chance? I have the Lux units in my car, they look great. Outside rings are still a bit dim during the day but given the way the system is designed, there's no real way to avoid that. 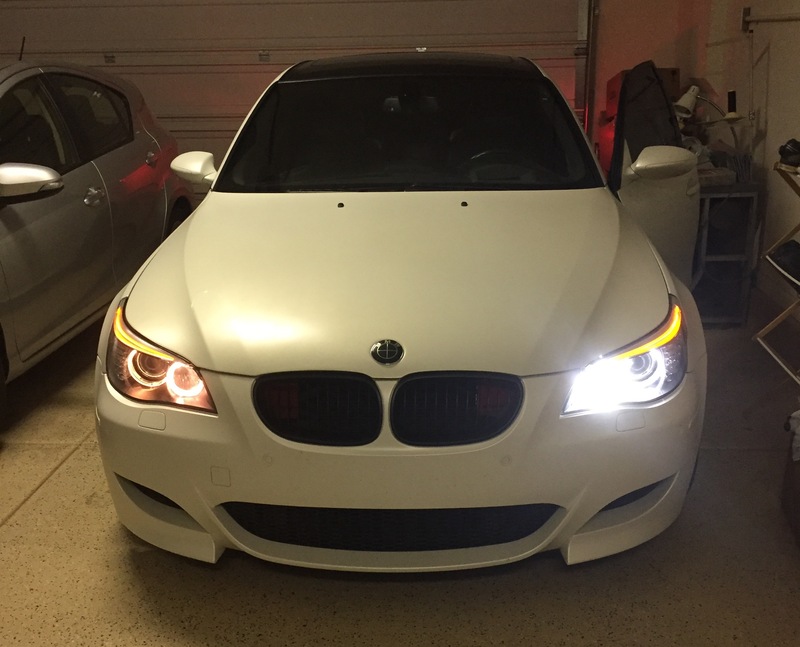 It's miles better than stock, and certainly makes the car look a lot newer and more aggressive. I'm not too sure. I'm sure there are some out there that will get the same results. Maybe Orion has something? I agree, I noticed in the daytime the outer ring is pretty dim but I will gladly take a slightly dim white outer ring over the yellow any day. It depends on the angle you're looking at. Step back about 30 feet and kneel down and both rings looks pretty damn good.